Big Spider. I saw this “what I consider a giant” spider above my front door. I went in the back door and got a Nikon D3 camera with a 200 mm lens (I didn’t want to get too close) and a SB-900 flash. It was not as big as a tarantula, but pretty close. I’ve never seen a spider this big in New Jersey before. 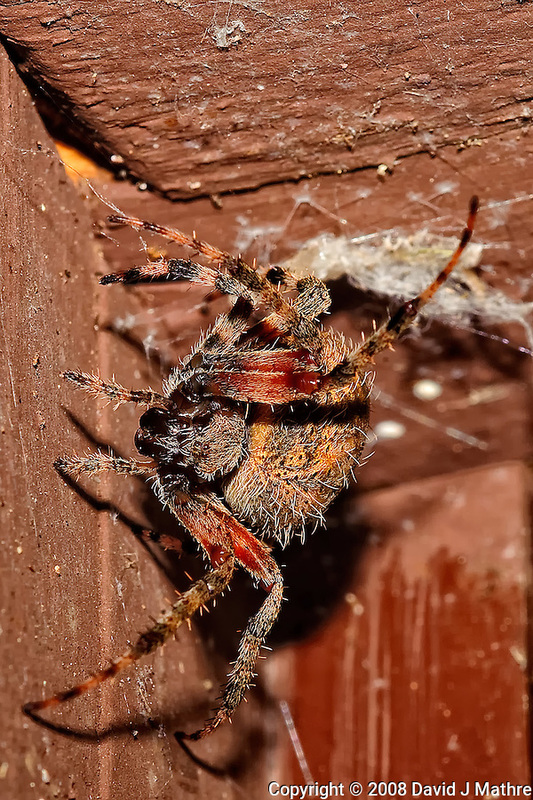 I don’t know what type of spider it is, but I have not seen one like it since then.